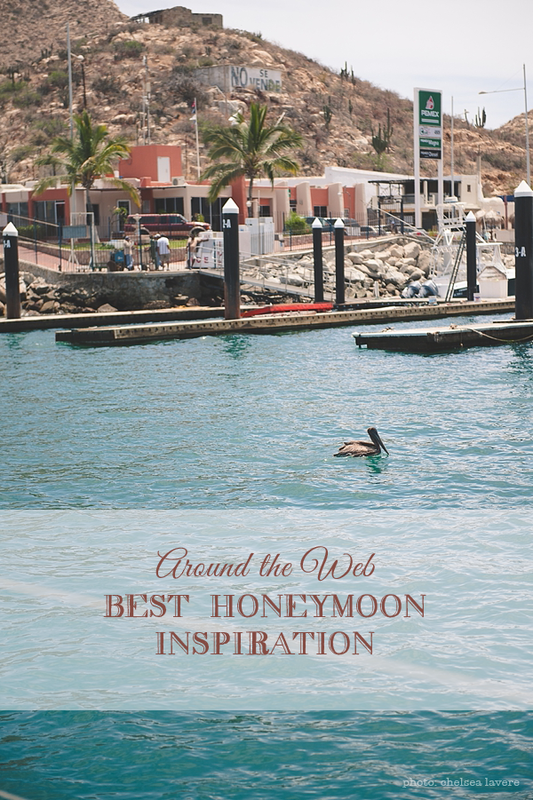 Since I'm currently in St. Lucia which happens to be one of the most popular honeymoon destinations in the world, I figured it was time for a fabulous Linkage Roundup of the best honeymoon-related inspiration and information! So grab your afternoon drink and start dreaming of wanderlust! 6. Don't even know where the heck to go on your honeymoon? Head over to Entouriste, the ultimate travel blog, to start getting inspired with beautiful destinations all over the world, nationally and internationally. 9. Have food allergies? Worrying about how you'll eat on your honeymoon should be the last of your concerns! Look at our tips here at Tidewater and Tulle for planning your honeymoon with food allergies so you're not sick or anxious on your first vacation as newlyweds. 10. Fodor's Travel shared the world's best honeymoon destinations for 2014. Is your favorite destination on there?